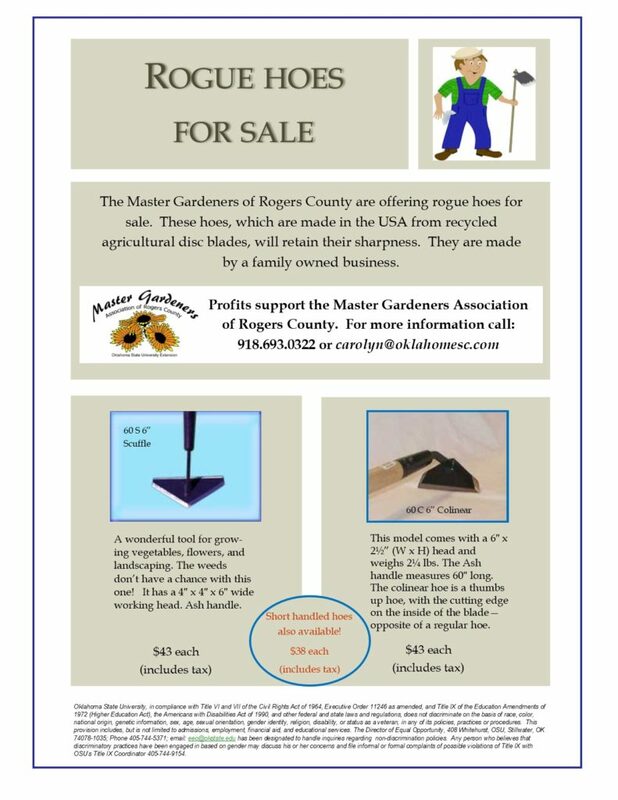 The Master Gardeners of Rogers County are offering Rogue Hoes for sale: short and long handled. Each hoe is hand-crafted – 100% made in the USA – from recycled agricultural disc blades. Made of high grade tempered steel, most models are sharpened on 3 sides. They DO hold an edge!